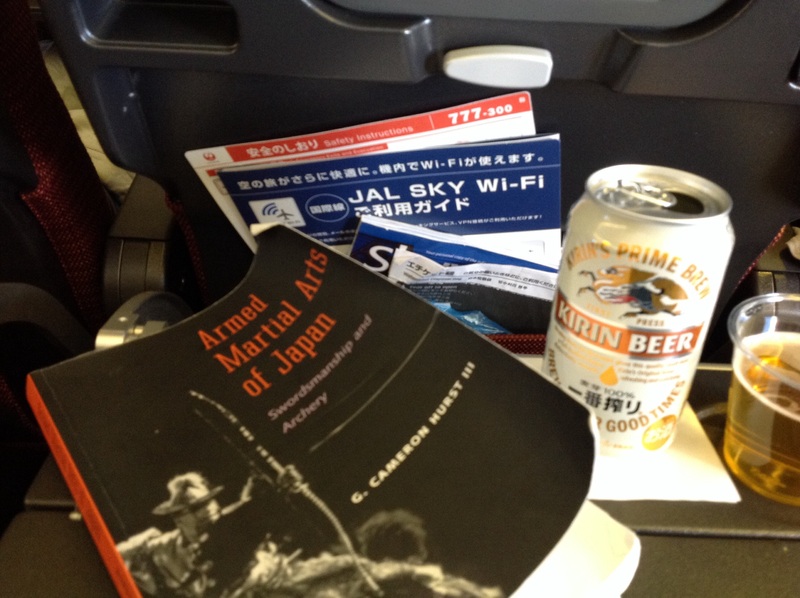 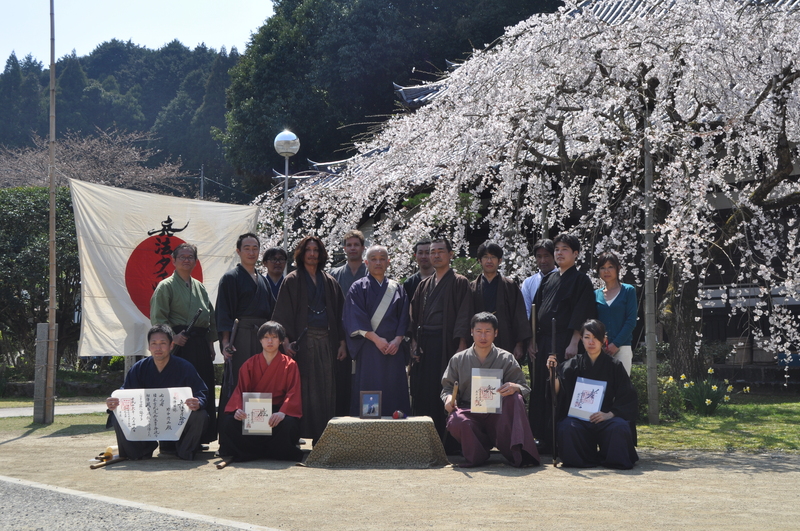 On the way from Yatsushiro to Kumamoto where we will demonstrate Taisha-ryu at the budokan. 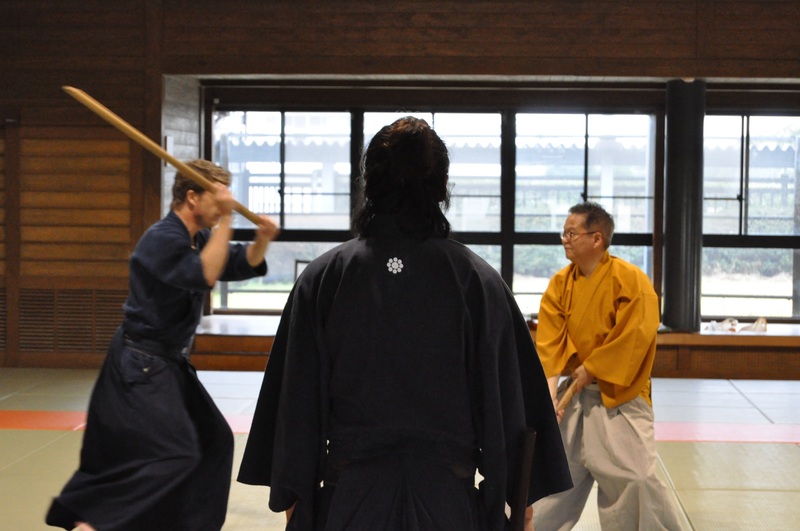 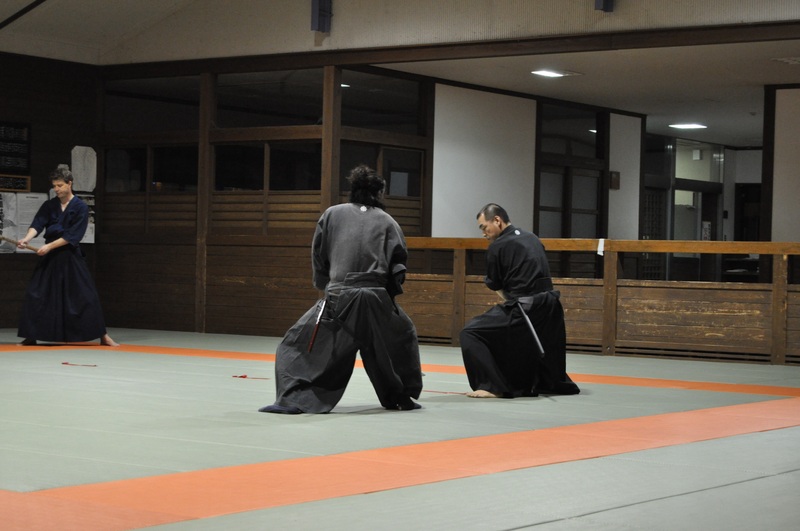 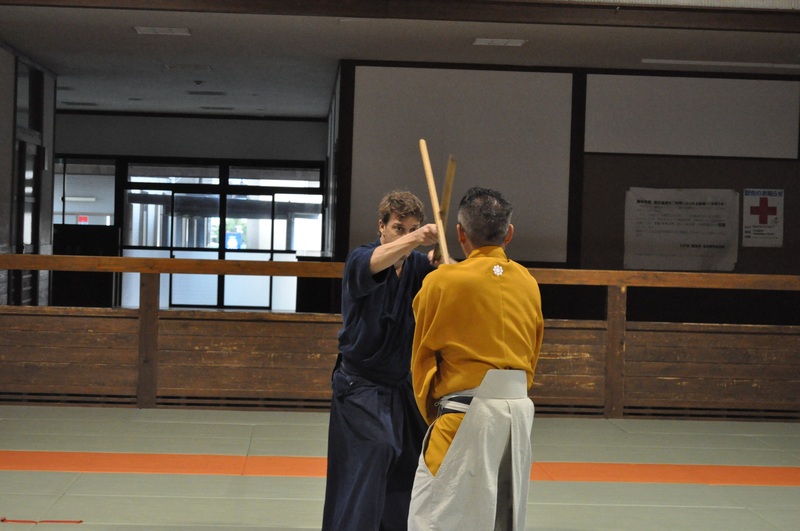 Tsunoda-san and I – Yamamoto- Sensei teaching. 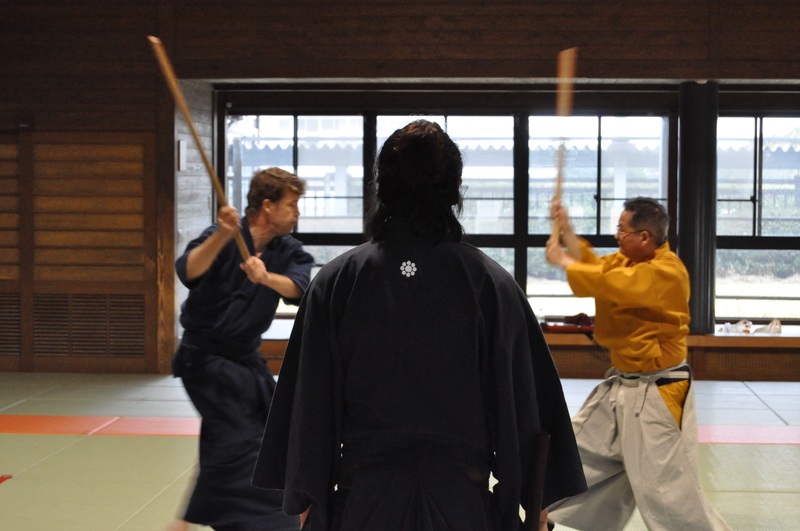 Taisha-ryu’s Ryu Sen Kan dojo in Yatsushiro conducts what is called in Japanese 短期集中鍛錬 (pronounced tanki shuchu tanren) meaning “short intensive training” that runs from 10:00 – 16:00 with a lunch break at mid day for members who live so far from Yatsushiro that they are unable to come to the regular training sessions. 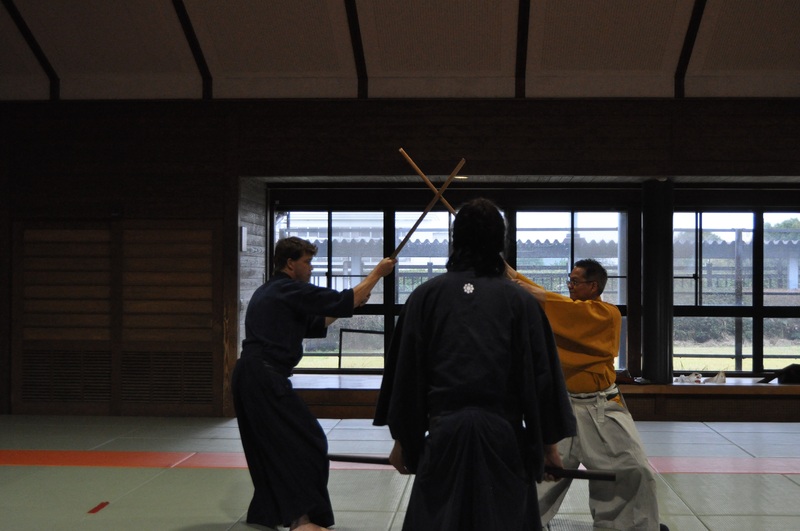 Yesterday was the first of ten sessions that I’m doing this trip. 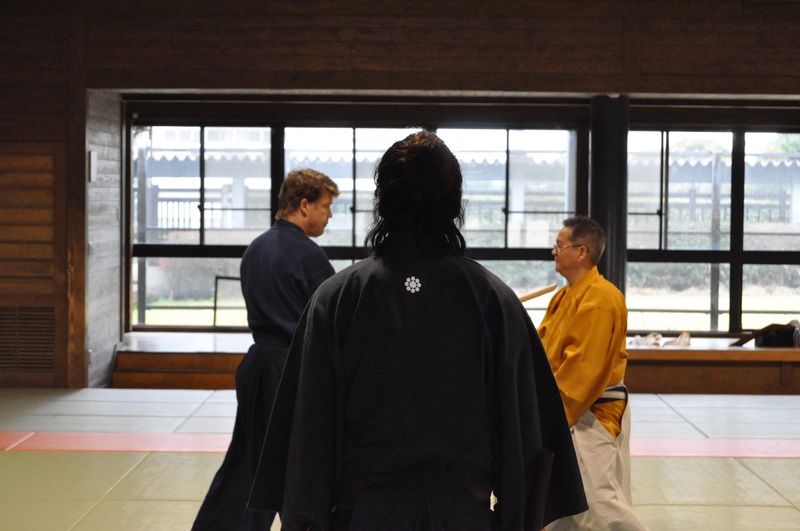 Usually there are a few other students who come when a session is on but yesterday was only Yamamoto-Sensei, Uehara-san, Chihara- san and me. 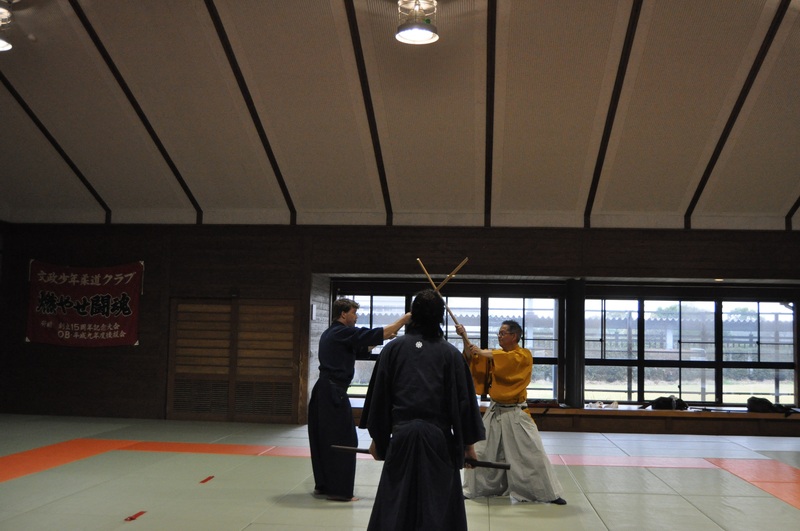 Later in the day, Tsunoda-came to help instruct. 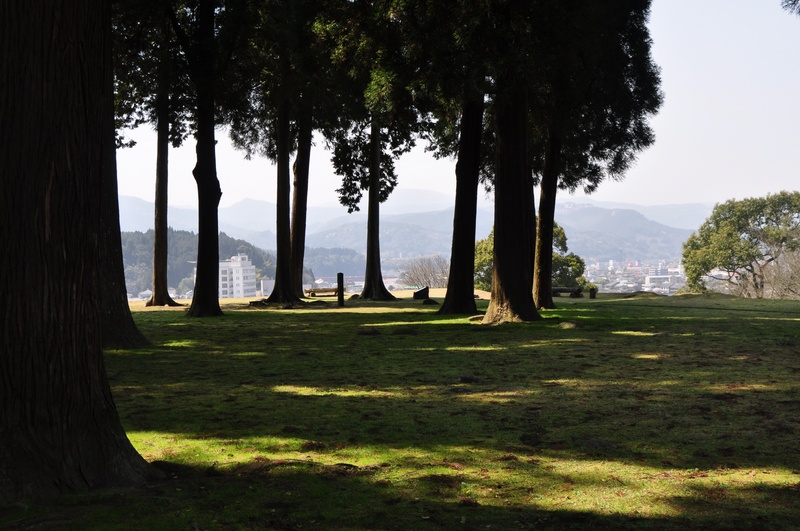 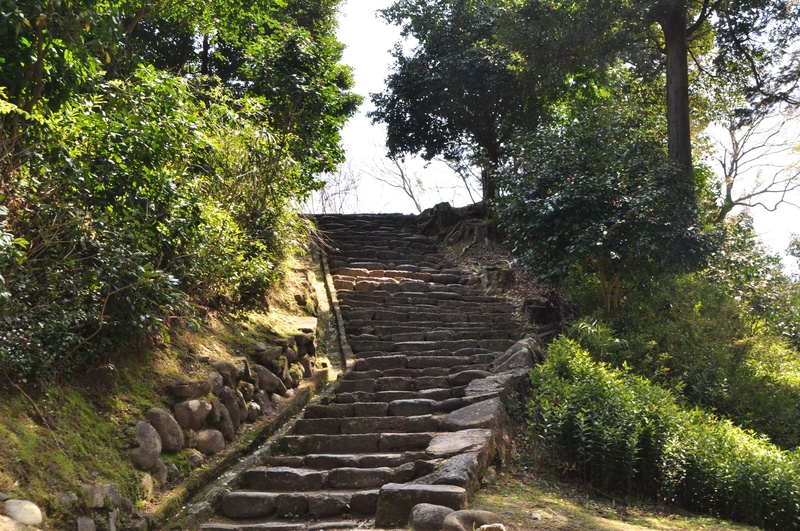 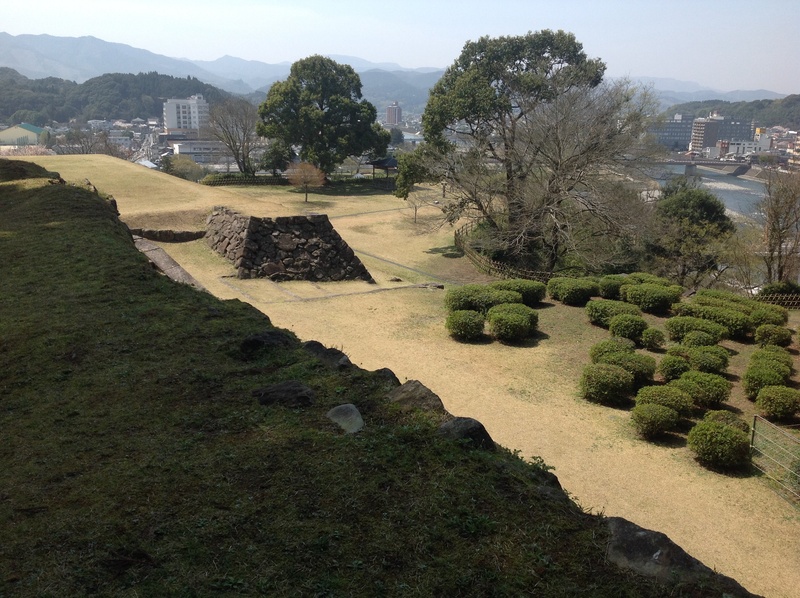 Here are some photos taken by Shinko-san. 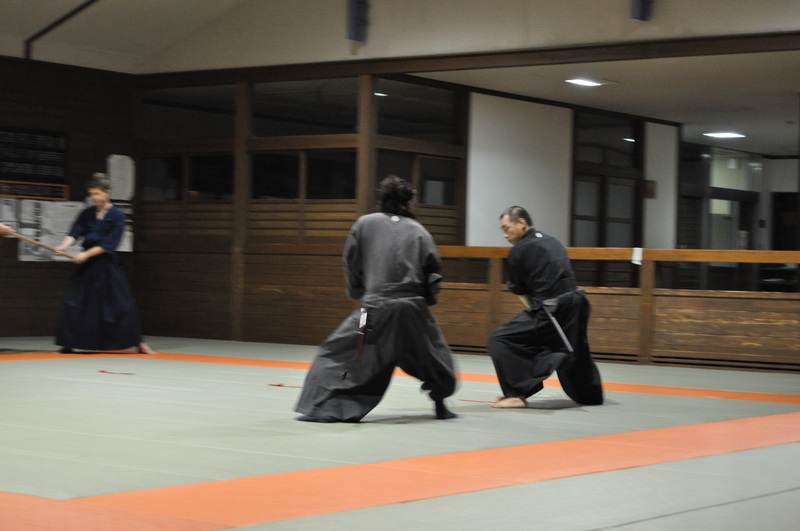 Tonight in the dojo in Yatsushiro. 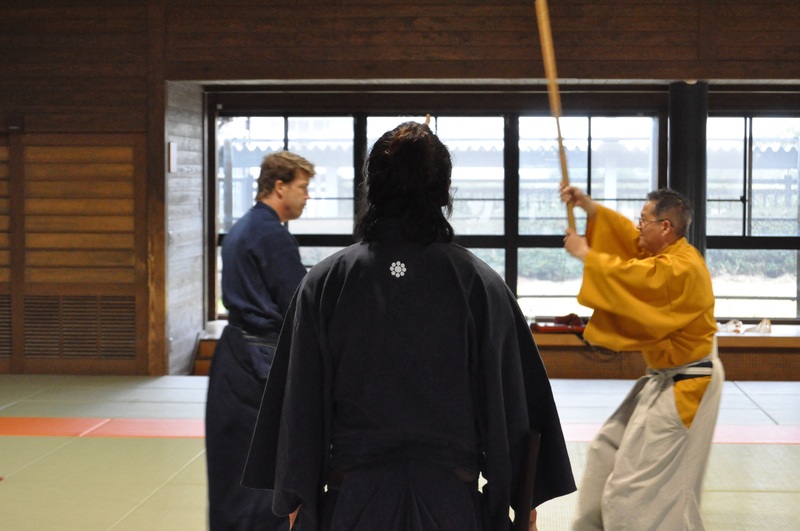 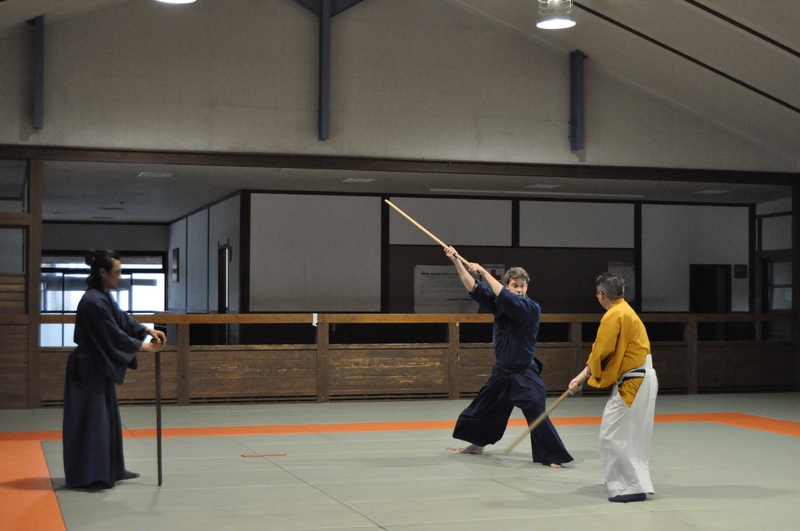 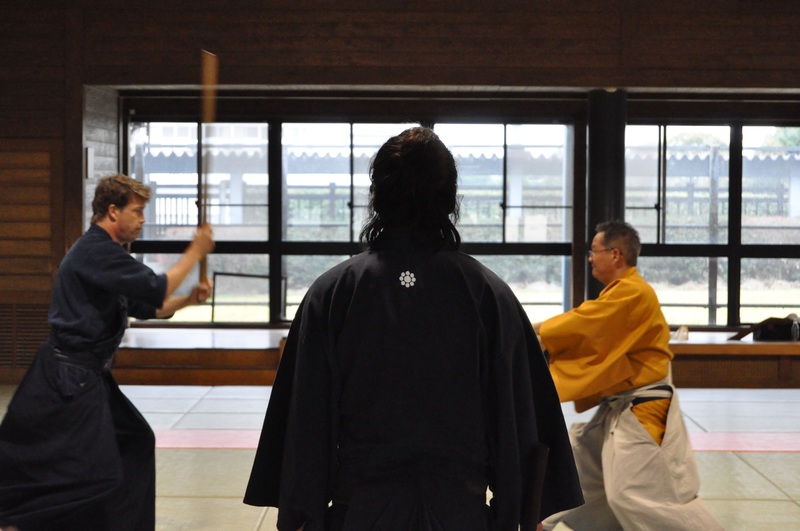 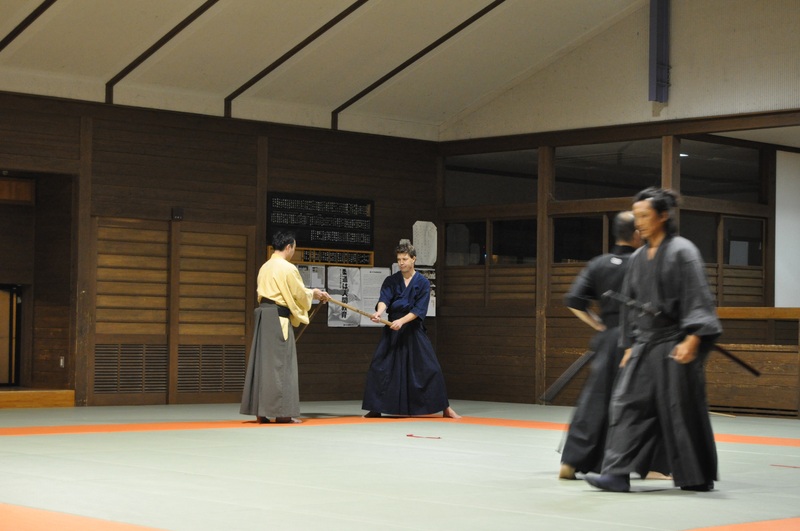 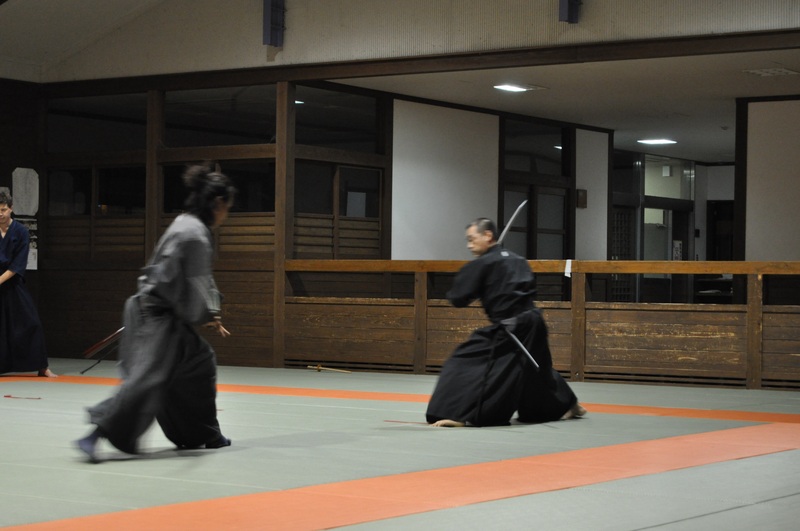 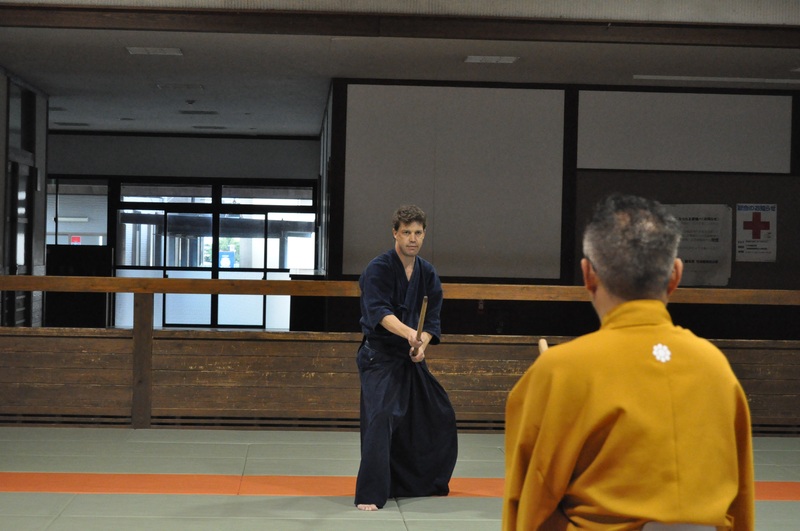 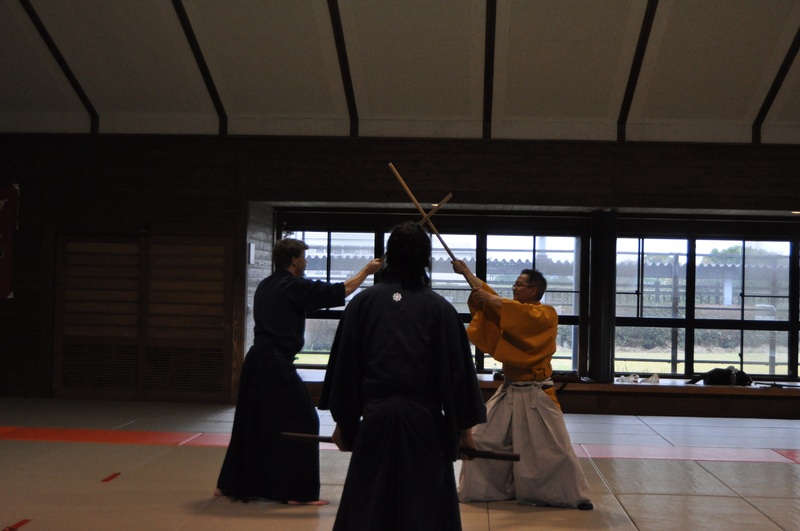 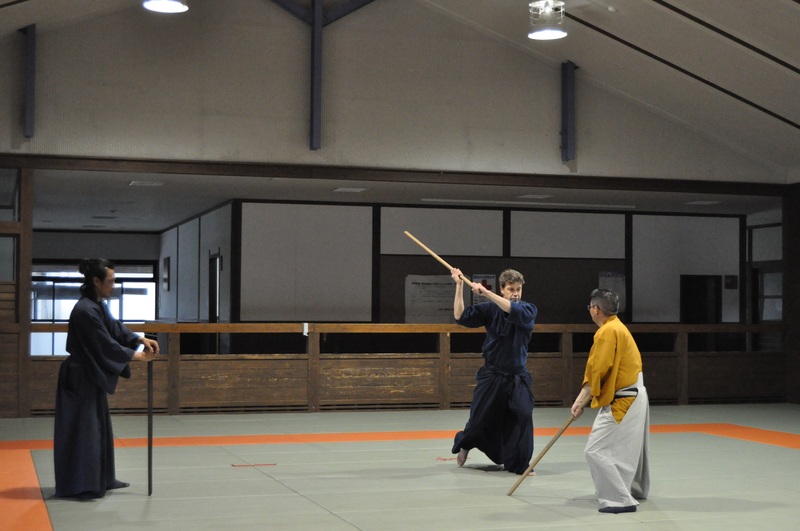 I’ve been away for a year – in the photos you can see me in the blue with Gotan- shihandai being corrected on things I’d forgotten while Yamamoto-Sensei and Tazoe-Sensei practice in the foreground. 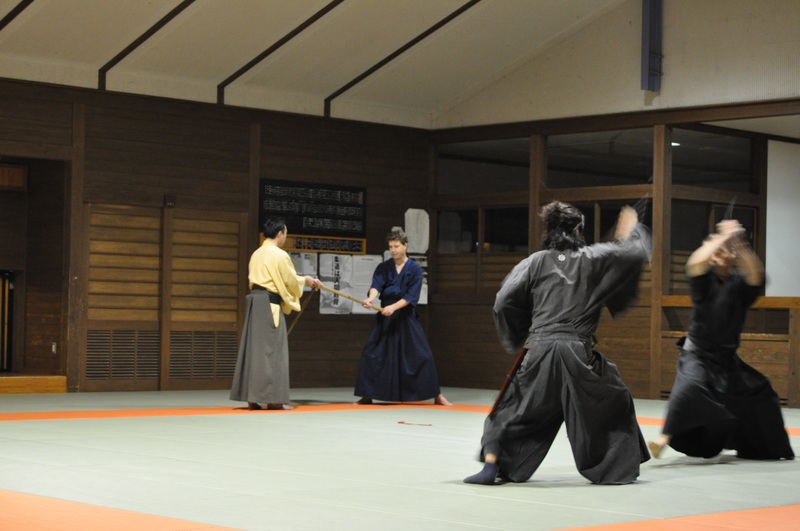 Tomorrow will be the first day of Intensive Training for this trip.